This attack does 30 damage times the number of cards in your hand. 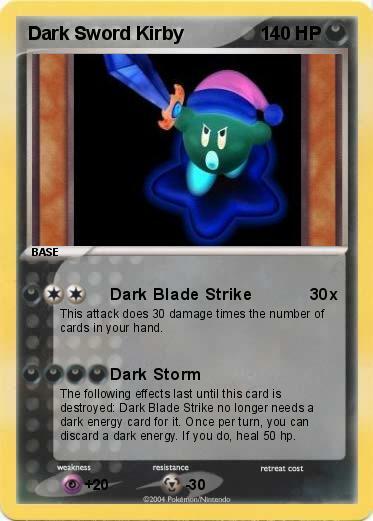 The following effects last until this card is destroyed: Dark Blade Strike no longer needs a dark energy card for it. Once per turn, you can discard a dark energy. If you do, heal 50 hp.